Taylor Kemp will spend the next two years on probation and at least four days in the Ada County Jail for igniting a wildfire that consumed 2,600 acres of the Foothills in east Boise, destroyed one home, and put hundreds more at risk. Kemp will likely spend the rest of his life paying for the damage he caused. 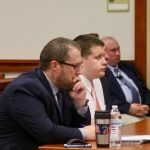 When given the opportunity to address a judge — and the owner of the home destroyed in the fire — during a sentencing hearing Friday, Kemp declined. There was no apology or acknowledgement of responsibility Friday from Kemp, who didn’t show any signs of emotion during the hour-long hearing. Fourth District Magistrate James Cawthon described what Kemp did the night of June 29 as a “horribly reckless, thoughtless act,” and told Kemp the restitution bill of $391,000 was a bargain. Kemp’s attorney asked Cawthon during Friday’s hearing to not to allow Boise Fire, Boise Police, and the Bureau of Land Management to seek restitution for costs incurred during the fighting of the blaze, saying those agencies were just doing their jobs. Cawthon dismissed that idea, telling Kemp he was lucky those fire fighters and police responded immediately, in the middle of the night, and put themselves in danger to protect the people in that neighborhood. The damage to life and property would have been catastrophic, Cawthon said, if not for that effort. Kemp pleaded guilty earlier this year to a misdemeanor count of unlawful use of fireworks in connection with the blaze. Cawthon sentenced Kemp Friday to 180 days in jail, but suspended 160 days. Kemp must spend four full days in jail before he can ask for an alternative sentencing program, like the sheriff’s labor detail or work release. Kemp admitted to detectives he was shooting roman candles off the side of the road near the Table Rock gate just before midnight June 29 when the flaming projectiles ignited the side of a nearby hill. By the time the firefighters contained the blaze the next day, one home and outbuilding were destroyed, dozens of homes in the Harris Ranch subdivision were put at risk, and over 2,600 acres of the Foothills that frame the east end of Boise were burned black. Ada County Sheriff’s deputies and detectives sorted through over 100 tips from the public and did dozens of interviews — including one with Kemp the morning of June 30 — before he admitted what happened when detectives interviewed him for a second time in late August. Shortly after he was charged, Kemp went to local media outlets and claimed he did not set the fire and that his confession was coerced. 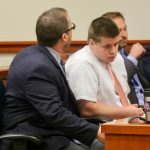 Ada County Deputy Prosecutor Tamera Kelly pointed out to Cawthon Friday that not only has Kemp has never accepted responsibility for what he did, but went out of this way to misrepresent his interaction with Ada County Sheriff’s detectives. Van Danielson, the owner of the home lost to the fire, asked Cawthon to sentence Kemp to 160 hours of sorting through the ashes of the home to see if anything remains. “There is nothing left … the only thing left is my memories, and you can’t take them away,” Danielson said, adding that Kemp’s stupidity could have cost him the lives of his family if they were home at the time. “I wouldn’t wish this on my worst enemy.